Mickey Trescott and I met back in 2013, when you could count the number of AIP bloggers on one hand. We were figuring it out as we went along, with very few professional resources available. So, we started creating the resources we wished we had. In fact, Mickey wrote the very first AIP cookbook. I wrote the Paleo AIP Reintroduction Guide. Dr. Sarah Ballantyne wrote The Paleo Approach, and I followed with A Simple Guide to the Paleo Autoimmune Protocol. All of these resources (and 40+ others) make the AIP much easier to follow now than it was when we started. But let's not lie – it's still challenging! So, today Mickey and I will be sharing the best tips we've gathered from multiple years living this lifestyle and helping others succeed in doing the same. 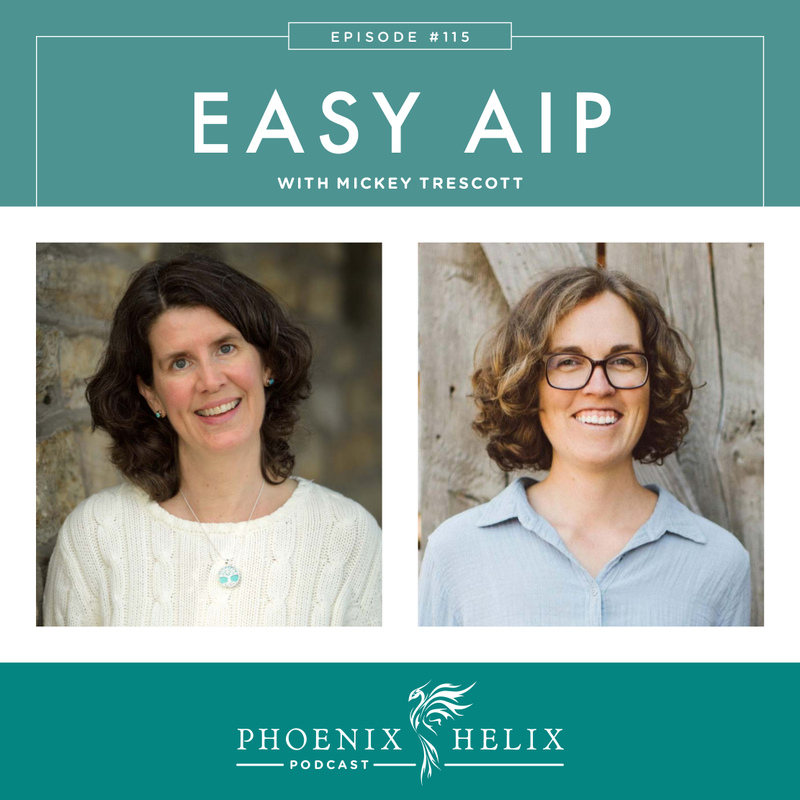 Mickey Trescott is a leader in the AIP community, and has celiac and Hashimoto's disease herself. She is the co-founder of the popular website Autoimmune Wellness. She’s also the author of the three books: The Autoimmune Paleo Cookbook (which was the very first AIP cookbook), The Autoimmune Wellness Handbook which she co-wrote with Angie Alt, and her newest cookbook which is due to release in March: The Nutrient-Dense Kitchen. She's also the co-host of the Autoimmune Wellness Podcast. Mickey's been on my podcast twice before. 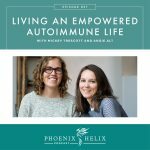 She shared her personal healing story in Episode 4, and talked about living an empowered autoimmune life in Episode 57. I have exciting news! I've collaborated with ShopAIP to create a Phoenix Helix Bundle, which contains some of my favorite AIP pantry items: KC Natural No Tomato Pasta Sauce, Wild Zora Mediterranean Lamb Bar, Real Salt, Primal Palate Breakfast Spice Blend, Epic Bone Broth, Aroy-D Coconut Milk, Paleo Angel Vanilla Power Balls, and Sweetpotato Awesome. It's all packaged together in one box, ships free within the US, and is discounted 5% off retail. AIP breakfasts require a mindset shift that lets go of the conventional idea of what this meal should be, since eggs, dairy and grains aren't allowed during the elimination phase of the AIP. You want your breakfast to have a balanced blend of protein, carbohydrate, and healthy fat, and also be filled with micronutrients that set you up for good health and energy the rest of the day. The key to easy breakfasts is cooking in advance, so you don't need to cook in the morning. Many autoimmune diseases come with lower energy levels or pain and stiffness in the AM. Mickey does a round of batch cooking once or twice a week and always incorporates breakfast items. Some great options are protein patties (beef, pork, chicken, salmon), vegetables (Mickey loves making root vegetable purees), and both Mickey & Eileen love breakfast soups. This is the perfect time to eat a big salad. There are nutrients in raw leafy greens that reduce during cooking (folate and vitamin C, for example). So, salads are a great way to get the most of these nutrients, and easy to prepare as well (no cooking). Eileen chops all of her greens and fresh vegetables at once on grocery shopping day. She loves Tupperware Fridgesmart containers for keeping chopped vegetables fresh for 1-2 weeks. Top your greens and vegetables with some protein and healthy fat. Any leftover protein works well, as does canned fish. If you've reintroduced hard-boiled eggs, they're a great protein option as well. And Whole Foods has a line of “naked” deli meats that are AIP-friendly (always ready ingredient lists to be sure). For dressings, Eileen simply uses flavor-infused extra-virgin olive oil and an AIP-friendly vinegar. Mickey loves preparing different dressings in her batch cook each week, for variety. Note: Some people with IBD have trouble digesting raw vegetables, especially during a flare. If this is you, cooked leftovers are a better option until the flare passes. Mickey takes time to decompress after work before diving into dinner preparations. She enjoys cooking, as long as she doesn't feel stressed while doing it. Her habit is to cook dinner every other night, and she and her husband eat leftovers on the second night. She loves the Instant Pot for the main course and simultaneously cooks up a big batch of vegetables in the oven or on the stovetop. While she did meal planning when she first started AIP, now she likes being more spontaneous in the kitchen, building meals around whatever she finds seasonally at the market. Eileen does still meal plan, but she tends to build it around the proteins she has in the freezer, and then balances that with the vegetables she finds in season at the store. She loves cooking with leftovers in mind as well. If she's going to spend an hour cooking, she chooses recipes that make 6-8 servings. Otherwise, she favors fast and easy recipes that take just 30 minutes to prepare. She also loves the Instant Pot, but for those of you who don't have one, there are great one-pot recipes for the stove as well. One of her favorites is her Salmon Primavera, which takes only 30 minutes to prepare and cooks in one skillet. One of Mickey's favorites is her Magic Chili, which cooks in one pot and takes an hour to prepare, but with lots of leftovers. 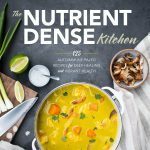 Mickey's new cookbook, The Nutrient-Dense Kitchen, features Instant Pot recipes, one-pot meals, meals that prep in 45 minutes or less, and 5 meal plans with shopping lists. If your blood sugar is stable and your digestion healthy, eating 3 larger meals daily (with no snacks in between) is optimal for digestive health. However, inflammation affects both blood sugar and digestion, so many people with autoimmune disease find that they need snacks between meals. Don't feel badly if this is true for you. Hunger is also very common when people first switch the AIP. Mickey believes it's because the body is responding to the nutrient-dense foods, wanting more of them after years of eating a nutrient-poor, processed-food diet. Don't make yourself go hungry – that can increase stress and cause blood sugar swings as well. Have healthy snacks available. Just like meals, snacks should be nutrient-dense. Mickey's favorite snack is liver pâté. She includes it in her batch cooking session and freezes it in small portions for this purpose. Her popular recipe has converted many people who said they'd never eat liver: Bacon Beef Liver Pâté with Rosemary and Thyme. It's common to crave sweet things between meals, but if you have fruit by itself, it tends to spike blood sugar, lead to an energy crash afterward, and keeps the hunger and stress response going instead of satiating it. A better choice is combining fruit with a healthy fat or protein – liver pâté with apples, or fruit dipped in coconut butter. Mini meals are great as well: some smoked salmon on cucumber slices, or a small meat patty with a side of veggies. Eileen loves avocado as a snack. Prior to going AIP, she had been eating a low-fat diet, so her body craved an avocado a day to replenish the healthy fat it had been missing. There are AIP store-bought snack options as well, such as the AIP-friendly flavors of Epic Bars, Wild Zora Bars, and Paleo Angel Power Balls. There's even an organ meat snack stick from Pure Traditions. You can find all of these at ShopAIP. 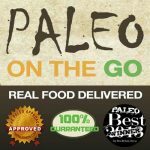 Exciting News: Paleo on the Go's menu is now 100% AIP! 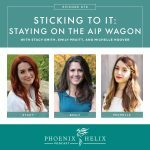 They've always been a wonderful resource for the AIP community, because from the beginning they created recipes specifically for us. 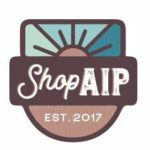 When they first became my podcast sponsor back in 2015, over half their menu was AIP. Now though, they are a 100% AIP company. How amazing is that? They have over 65 items on their menu including full meals, side dishes, soups, broth, AIP-friendly bacon, desserts, as well as themed meal bundles. Check out their full menu here. A frozen meal delivery service, I always take these with me on vacation and also keep a stash in my freezer for emergencies. Read my detailed review here. Most of us come to the autoimmune protocol after eating a very nutrient-poor diet for much of our lives, and our bodies are nutrient-deficient. 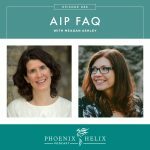 A common mistake with the AIP is focusing only on the inflammatory foods we remove, and not focusing on the nutrition of the foods we choose to eat. If you aren't see the results you hoped on the AIP, this could be the reason. Mickey wrote her newest cookbook, The Nutrient-Dense Kitchen, to make it easier for people to make nutrient-dense food choices. She includes detailed tables of each nutrient and their best food sources. And the cookbook has 125 simple yet delicious recipes that incorporate these foods. Tips for nutrient density: (1) Local, seasonal foods have more nutrition than foods shipped around the world and eaten out-of-season. (2) The more variety you eat, the more diverse your nutrition. Dr. Terry Wahls strives to eat 200 different foods each year. Eat a wide variety within the elimination phase of the AIP, but also remember that there is a reintroduction phase as well, where we can expand our diets further. Both Mickey & Eileen have reintroduced a wide variety of foods. (3) Herbs are incredibly nutrient-dense and a great way to add diverse flavors to your meals. (4) Minimize desserts. (5) Incorporate nutrient-density into your snacks as well as your meals. Sleep is so essential to autoimmune health. Not only can skipping sleep lead to an autoimmune flare, but a good night's sleep also sets a foundation that makes stress easier to manage, and good food choices easier to make. Step 1 is to set a bedtime. The body's circadian rhythm benefits from routine, and when we go to sleep at the same time every night and naturally wake up at the same time every morning, our body starts to balance its hormone production to help us sleep better, deeper and wake more easily. Decide how many hours of sleep you'd like to get. 9-10 hours is often optimal for anyone healing from chronic illness. Step 2 is a wind-down routine. 30-60 minutes before your bedtime, turn off all screens (computer, smartphone and TV), and choose an analog activity that's relaxing to you. If you have trouble sleeping, focus on staying in bed and resting. Your body is still getting benefit from the downtime. Don't reach for your phone. Don't get out of bed. Try not to stress about the fact that you're not sleeping. Mickey has always found sleep challenging, so she makes sure that she gets plenty of time in bed, which gives her body the opportunity to sleep as much as it can. Eileen's Tip: Keep a notebook and pen by your bed, and if thoughts race through your mind of all the things you need to do, or worries that you have, write them down. You can focus on them tomorrow. Resource: Episode 94: Troubleshooting Sleep. There are two kinds of stressors: ones that we can change and lessen their impact in our lives, and the ones that can't be changed. So, the first step of stress management is determining which is which. Often, we don't realize that some stress is optional. For example, saying “no” more often, or asking for help can lessen the stress burden of life. For the things that can't be changed, there are many techniques for minimizing the impact stress has on our bodies. Both Mickey and Eileen like meditation, but there are many other techniques you can try as well. A baby step would be simply taking 5 minutes to yourself each day to actively relax. It doesn't sound like much, but it's a practice that helps you learn to identify your stress response throughout the day and manage it better in the moment. Check out the Lifestyle page on this blog, for a wide variety of stress management techniques. There is a certain amount of perfectionism required during the elimination phase of the AIP. If you don't eliminate the inflammatory foods completely, you don't have a clear baseline for reintroductions. And if you have celiac disease, a microscopic amount of gluten can trigger an autoimmune response, which means cross-contamination measures are important. However, sometimes we raise the bar higher and higher, sweating details that don't have a major impact, and holding ourselves to impossible standards. If we don't meet them, we can feel shame and self-judgment. If we do meet them, it puts us under an incredible amount of pressure and stress. And some people actually fall in love with that feeling of restriction and control. These are not healthy mindsets. Our relationship with food is very complex. The AIP is an opportunity to get to know ourselves better, build a positive relationship with food, and become aware of our own unhealthy patterns. You can keep up with Mickey's work through her website Autoimmune Wellness. She's also the co-host of the Autoimmune Wellness Podcast and the author of the three books: The Autoimmune Paleo Cookbook, The Autoimmune Wellness Handbook, and her newest cookbook: The Nutrient-Dense Kitchen.